International Bird Rescue – Every Bird Matters» Blog Archive » What’s it like to volunteer with us? Ask Janelle! What’s it like to volunteer with us? Ask Janelle! 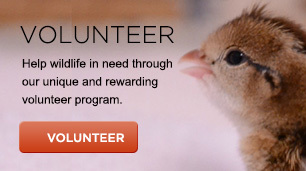 It’s no secret: International Bird Rescue has the best volunteer corps imaginable. Wildlife lovers from all walks of life help us to fulfill the Every Bird Matters mission, from washing dishes and cleaning cages to hands-on work with myriad species of birds in care. So what’s it like to volunteer? We asked Janelle, a physical therapist and volunteer at International Bird Rescue’s Los Angeles center since 2009. Video by Bill Steinkamp. Want to get involved? Click here for more information on the next volunteer orientations at our San Francisco Bay and Los Angeles centers. Here, you can also download the volunteer application. See you at the volunteer orientation! This entry was posted on Friday, July 26th, 2013 at 7:51 am and is filed under Features. You can follow any responses to this entry through the RSS 2.0 feed. You can skip to the end and leave a response. Pinging is currently not allowed.